After an undergraduate degree in computer science at Brandeis (B.S. 2009), I studied cognitive psychology at Harvard (A.M. 2011, Ph.D. 2014) before doing a postdoc at University of California, Berkeley. Now I am an assistant professor at Stevens Institute of Technology. Motion silences awareness of visual change. A specific policy on authorship. Variability in the quality of visual working memory. Learning to detect and combine the features of an object. 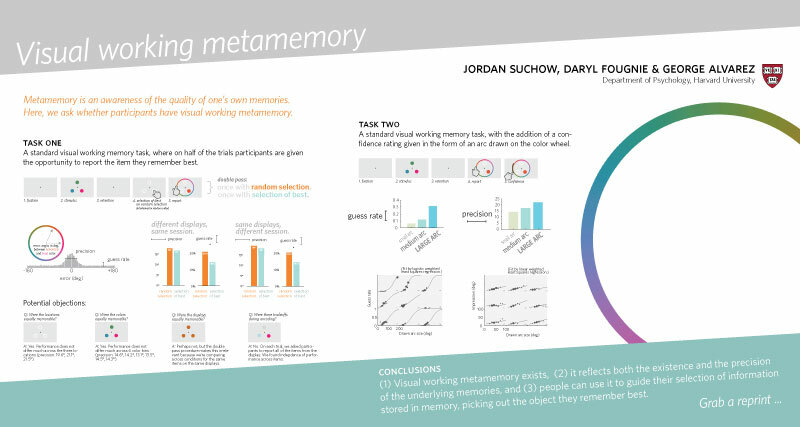 Modeling visual working memory with the MemToolbox. Terms of the debate on the format and structure of visual memory. Measuring, monitoring, and maintaining memories in a partially observable mind. Building a social network one choice at a time. Linting science prose and the science of prose linting. Deciding to remember: memory maintenance as a Markov Decision Process. Looking inwards and back: realtime monitoring of visual working memory. 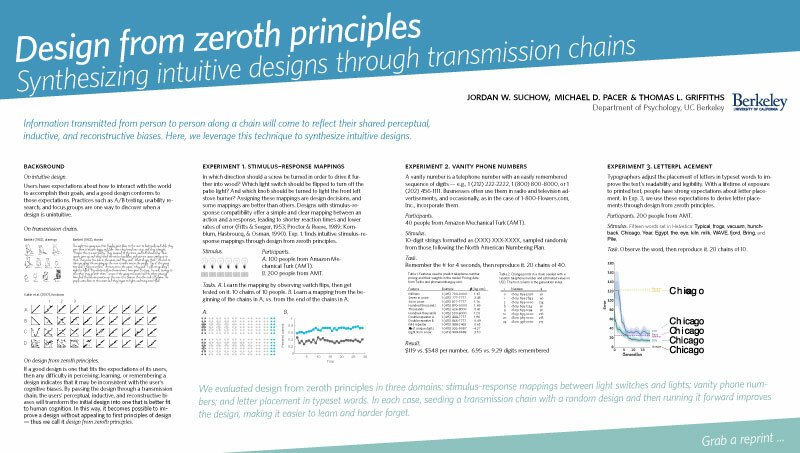 Rethinking experiment design as algorithm design. Empirical tests of large-scale collaborative recall. Uncovering visual priors in spatial memory using serial reproduction. Evolution in mind: evolutionary dynamics, cognitive processes, and Bayesian inference. Capturing human category representations by sampling in deep feature spaces. Adaptive sampling for convex regression. nbgrader: A tool for creating and grading assignments in the Jupyter Notebook. You probably have a twin stranger. Visual quantitative literacy test 0.4. Silencing the awareness of change. Dallinger: laboratory automation for the behavioral and social sciences. Proselint, a linter for prose. Wallace, a platform for experimental cultural evolution. What they ought to teach in school. Radiolab, tetrachromacy, and responsible experiments. 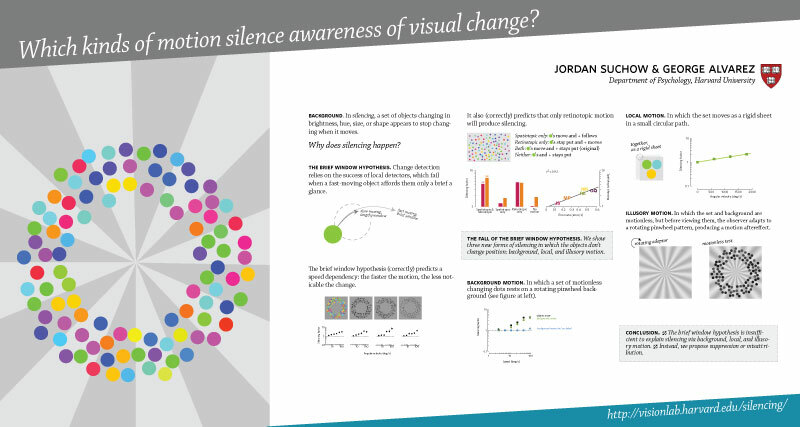 Seeing things: Visual perception research at NYU.